After work today I walked over to San Joaquin to see what might have come in in the last week, New birds included three Blue-winged Teal and two Least Sandpipers (both in Pond A), new birds for the year and my BGBY list. There were also close to 100 dowitchers feeding. The light was decent and some of them were quite close, so I paid more than the usual amount of attention to them, and some of them definitely looked like they had eaten grapefruits, a classic field mark of a Long-billed Dowitcher, though personally I’m not sure how reliable that is. 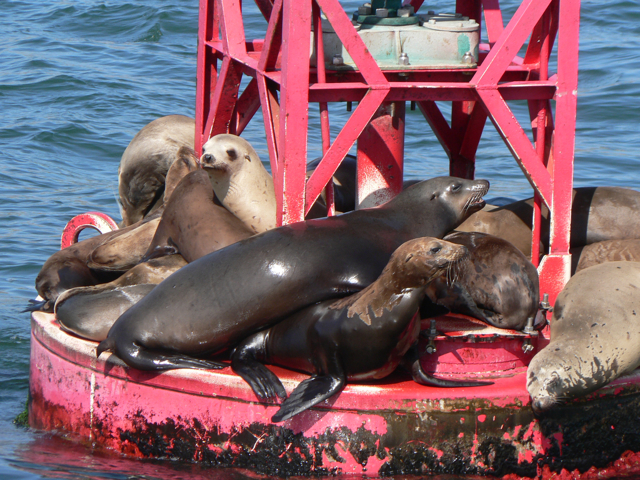 Two of them looked like they distinctly had not eaten grapefruits. Maybe Short-billed? or Long-billed in a funny posture? Who knows? Certainly not me. However, shortly after I arrived something spooked most of the dowitchers and they took off in a tittering flight. When I got home I compared the flight calls of the Long-billed Dowitcher to the Short-billed Dowitcher. The Long-billed calls were spot on with what I heard, and the Short-billed calls were noticeably different. At least the ones that flew were Long-billed. 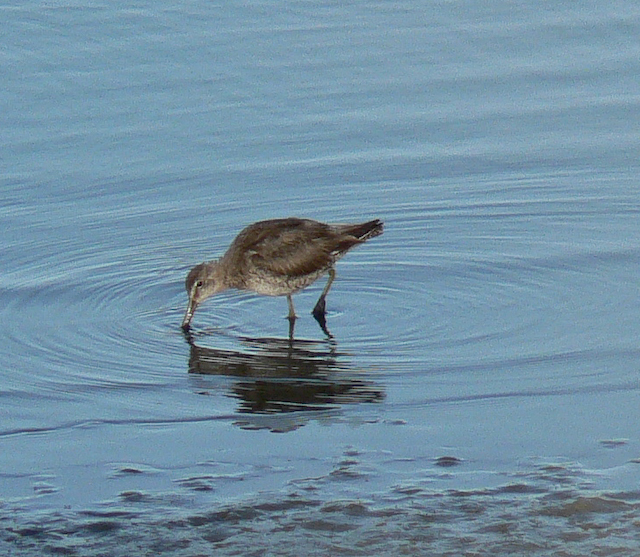 Of course now I’m uncertain about the “Short-billed” Dowitchers I’ve reported earlier this year. I may have to go back and revise those. I think I had both species today, but it’s really hard to tell. Yesterday I spent the morning exploring William R. Mason Park, trying to add a few more birds to my BGBY list and keep pace with fellow OC birder Neil Gilbert (at least for the walking competition. No way I can match him for the bicycling BGBY). I started at the West end (more park-like) and walked all the way out to Concordia Road, then back. I got out early enough to catch the shorebirds that sometimes hang out on the park’s lawns at dawn and dusk. 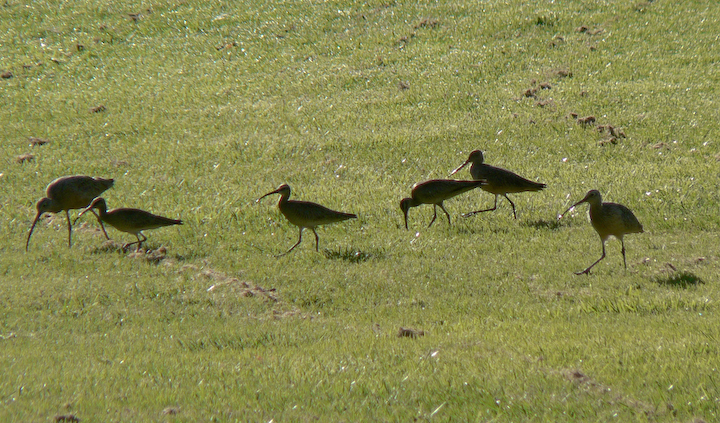 Today there were not only several Long-billed Curlews and a dozen Whimbrels. There were also a few Marbled Godwits, a first for the park if not my list. These are edible if they haven’t eaten any poisonous snail bait in the last couple of weeks. 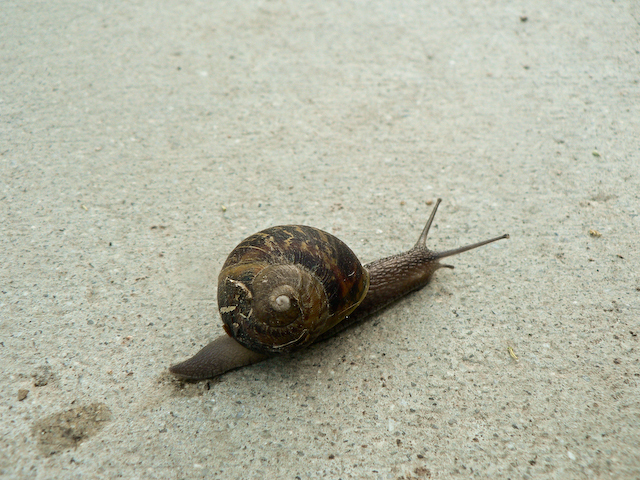 They were introduced to California around 1850 in a failed effort to jump start an escargot industry. Greylag Goose: I know I’ve seen Greylag Geese in multiple countries. I just don’t know if any of them were wild. Black Swan: this one really shouldn’t count, but it was very early in my list keeping. If I remove those, I’m only at 395. You are currently browsing the Mokka mit Schlag weblog archives for March, 2008.